This year, make a resolution that counts! The 2019 Greater Los Angeles Homeless Count will be the largest homeless census in the nation, and we need your help! 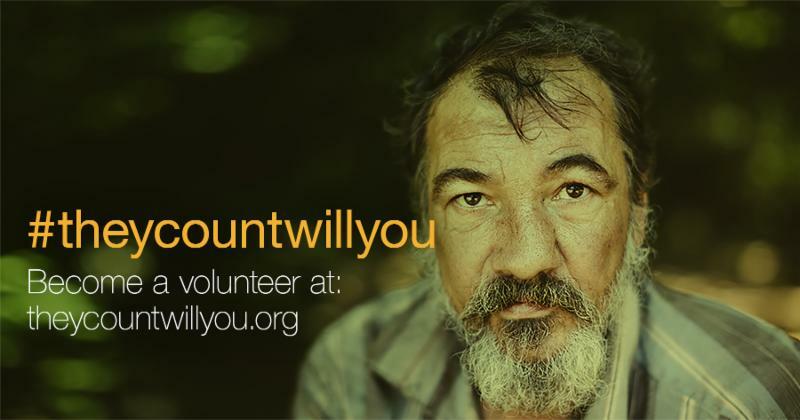 Go to www.theycountwillyou.org and click “Sign Up” to volunteer with us. The Count will take place January 22, 23, and 24, 2019. Whether it’s your first time joining the Count, or you’ve been volunteering with us since 2005, we encourage you to invite your friends and family to join you in this special effort. There are many ways to get involved. Harbor Gateway North Neighborhood Council is the host for the 2019 Homeless Count for Harbor Gateway on January 23. We invite you to join us! January 23: Homeless Count South of 120th, deployment site Harbor Gateway Community Center, 802 W Gardena Blvd, 90248 Harbor Gateway Community Center / Southbay Clubs. We don’t have to accept homelessness as an unsolvable problem here in Los Angeles. With your help, we can end homelessness.